Though Apple was mum about battery life for its forthcoming wrist-worn accessory when it was announced on Tuesday, the company has since said that it expects people to charge it nightly, suggesting the battery life will offer about one day of operation. "There's a lot of new technology packed into Apple Watch and we think people will love using it throughout the day," Apple spokeswoman Nat Kerris said in a statement to Re/code. "We anticipate that people will charge nightly, which is why we designed an innovative charging solution that combines our MagSafe technology and inductive charging." But sources who spoke with John Paczkowski went further, and indicated that the company isn't happy with the current uptime of the Apple Watch. One person said the watch's battery life is currently "about a day," and that the company is working on modifications ahead of its launch to improve it. A one-day battery life is about on par with other touchscreen smart watches currently available on the market, including devices running the competing Android Wear platform. The uptime stands in contrast to less powerful smart watches, like the Pebble, which utilizes a monochrome black-and-white display and lacks a touchscreen. Pebble's low-power screen is always on and provides up to a week of use before the wrist-borne device needs to be recharged. 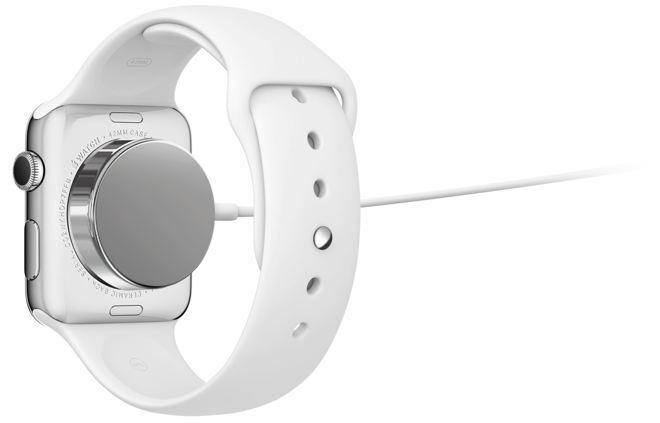 Battery life for the Apple Watch remains somewhat up in the air because the product isn't yet finalized and ready for launch. Apple revealed on Tuesday that the wearable device will launch at some time in early 2015, but declined to offer a more specific window. The company was also vague on other aspects of the hardware, including pricing. 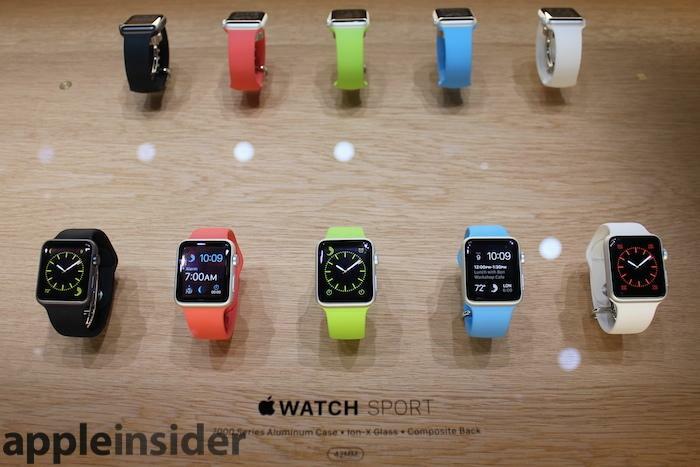 While the Apple Watch will start at $349, a breakdown of how much various models will cost was not given. While the Apple Watch will start at $349, it's possible that the high-end models could reach into a five-figure price point. The luxury Apple Watch Edition is made of hardened 18-karat gold, and existing 18-karat gold watches typically sell for more than $10,000.